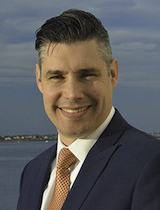 Jeffrey D. Gonneville is the Deputy General Manager of the Massachusetts Bay Transportation Authority (MBTA). A graduate of University of Massachusetts Amherst with a B.S. in Mechanical Engineering, Mr. Gonneville has been in transportation for over 25 years. Before becoming Deputy General Manager he held key executive roles at the MBTA. He was Chief Operating Officer (COO) for two years. As COO, he was responsible for the operation of the light and heavy rail lines and the vast bus system. He instituted several efficiency, productivity, and reliability programs. These initiatives lead to increased “On Time Performance” for all rail lines while completing fiscal years millions below budget. Jeff also served as the Chief Mechanical Officer (CMO) for the Authority. He was responsible for the maintenance, oversight, long term strategic planning for the Authority's vehicle fleets. Over his tenure as CMO there was a minimum of an 18% increase in Mean Miles Between Failures over each vehicle fleet. In his role as the Deputy General Manager of the MBTA, Jeff is responsible for the full oversight for all modes and all associated support departments for Bus, Paratransit, Ferry, Light, Heavy and Commuter Rail services. Jeff also is an active participant in the American Public Transportation Association (APTA) and currently a member of the APTA Board of Directors. He served as Chair to both APTA Bus Technical Maintenance Committee and the Vehicle Maintenance Committee for North East Passenger Transportation Association (NEPTA). Jeff has also served on past and current Transit Cooperative Research Program (TCRP) panels. Jeff’s entire professional career has been dedicated to public transportation in both the private and public sector.